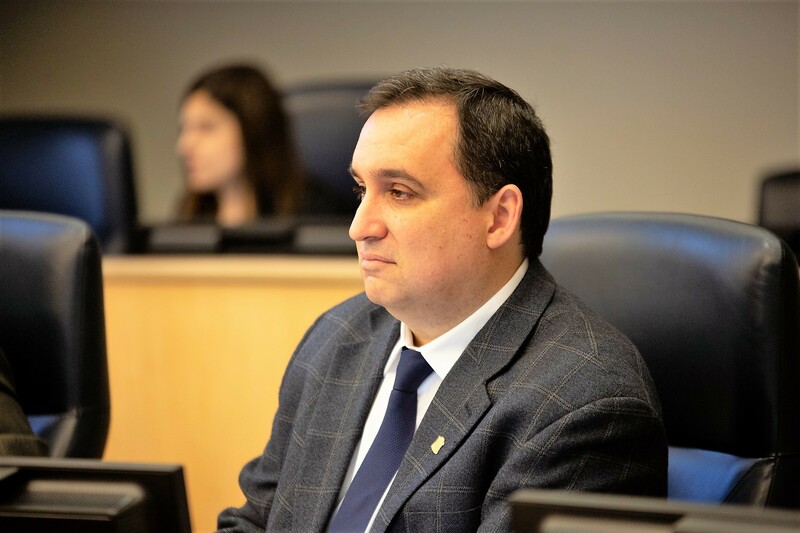 Councillor Paul Vicente had tabled a motion that, among other things, asked council to approve a surface route between the Brampton Gateway Terminal and Brampton GO station along Main Street without deviations. 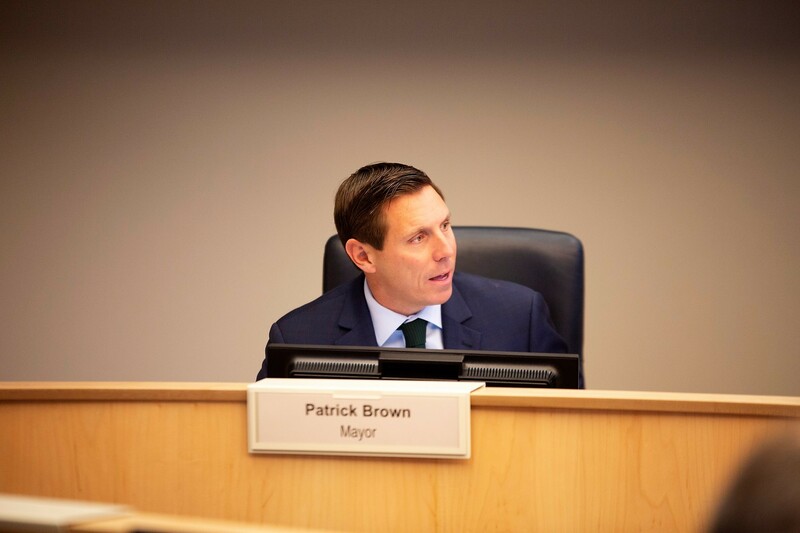 Mayor Patrick Brown was quick to declare his disagreement with the motion. 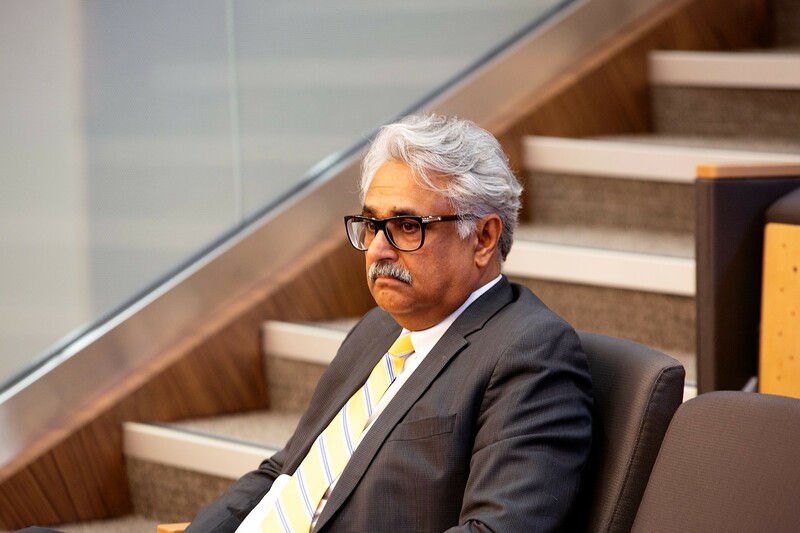 He had fought for an option to tunnel parts of the route back in December as part of a compromise, after council fell into a stalemate over Dhillon’s motion to revive the Main Street alignment the previous council rejected in 2015. “I can’t support this motion. It contains elements in the motion that are factually incorrect and I don’t want to be dishonest with the public,” Brown said. The plan was one of three options in a staff report exploring which mode the LRT should adopt: an at-grade (surface) route in a direct north-south path with no other streets involved (Vicente’s preference); a different on-street path that would turn south on George Street after terminating at Brampton GO and then would connect back to Main Street via Wellington St. W.; and the third — Brown’s preferred option, which would go underground near Nanwood Drive and head north of there through a tunnel. According to the report, a tunnel would be the most expensive option, with a price tag between $1.1 billion and $1.7 billion, compared with just $400 million for option one. “One of the choices when we talk about value is, do we want to fund a 3.5-kilometre section at the cost of $1.1 to $1.7 billion? Or do we want to choose to locate folks on a surface route which brings people to within arm’s reach of downtown businesses [and] does not relegate them to a subterranean option,” Vicente said in defending his motion in council. Councillor Rowena Santos, earlier in the meeting, had produced a letter from the Brampton Board of Trade declaring its support for the on-street route. “We encourage council to leverage the existing environmental assessment that continues to remain valid and to act forthwith to advocate that the Hurontario Light Rail align as closely as possible with the current Metrolinx Hurontario LRT procurement process,” Santos said, reading the letter aloud. Board of Trade CEO Todd Letts says he has been in communication with Brown on the subject of the LRT and that he conveyed to the mayor “the urgency” of the project. He told The Pointer the letter from the Board of Trade represents its position and the position of the business community in Brampton. Deliberations about the LRT were kicked off with delegations from various members of the community. All of the businesspeople who spoke, such as Jason Ottey, from construction union LiUNA local 183; Rick Evans, from CCV Insurance and the Brampton BIA; and Dave Kapil, of Kapil Financial Services, supported the tunneling option, which Brown used to bolster his rebuttal to the letter and Letts. “I don’t think we should worry about the cost of tunneling. It’s a much safer and secure route. This is what the business community wants,” Kapil told council. In 2016, the Toronto and Region Conservation Authority rejected a plan to run the LRT through Meadowlands Park because the area is in a floodplain. Main Street, in the downtown, also sits in a floodplain. The Pointer asked Brown and two senior staff members if they were aware of any approval from the TRCA to go with option one. All three said they were not. After almost 90 minutes of delegations and butting heads, council deferred the vote to May.